What do you do when you have a white grid drawn onto your nails and seven brightly coloured polishes in front on you? Tetris nails of course! I used to love Tetris so much, I even found the theme tune stuck in my head at work a few weeks ago. Although it's a fairly irritating tune I must say it was preferable to alternatives (Rebecca Black springs to mind). To create this design I had to start with a white base, and drew on a white grid to use as an outline as I did in a previous design here. I used the grid to frame the design and make sure all the Tetris pieces were the right relative size and shape. The grid wasn't perfect, so there is a little variation, but I'm pleased with how it worked out. I had to Google the colours to make sure I matched them all up correctly with colours, but they seem to vary based on the version of Tetris you're looking at. 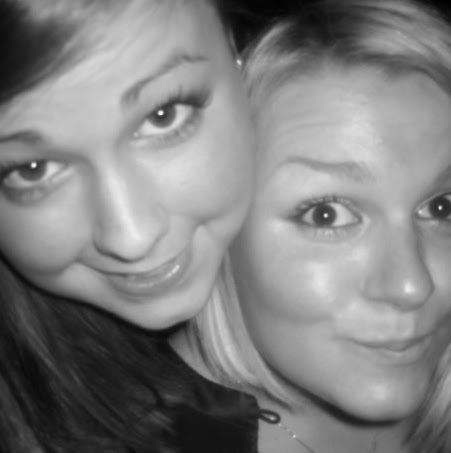 The one I used to play was black and white! In the end I picked out seven bright colours, assigned them to their corresponding shape and set to work. I added the colours roughly at first to make sure I wasn't left with any gaps I couldn't fill. Then I went through with each colour filling in the shapes with a small brush as neatly as possible. I contemplated adding a black outline to the shapes, or even a full grid on top of the design, but decided against it as you can see. I really liked how the bright colours clashed and contrasted with each other. They look like a children's toy, which is exactly what they were designed to represent! These are a bit bright and crazy, but I love the nostalgic value. I was expecting these to take a lot longer than they did too. I recommend giving them a go if you're a Tetris fan, just draw on your grid and fill in the gaps before you run out of space and time! I'm definitely adding these to my "to do" list! 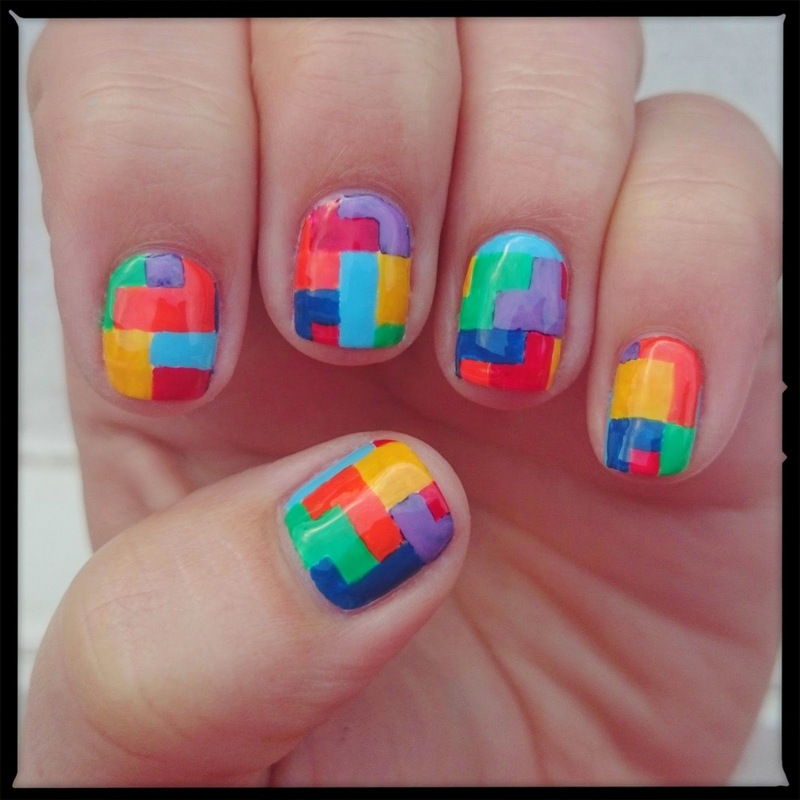 I love Tetris and cant believe I hadn't thought to make it a manicure, it's so perfect!